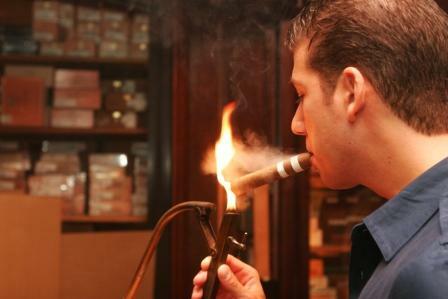 I am an avid cigar smoker, and I cover the business. So, I was delighted to attend the latest De La Concha cigar dinner on June 11, 2008. General Manager Ron Melendi featured the Davidoff Reserva 12 (a fantastic cigar), and Rue 57’s dinner was great as always. For anyone in or passing through New York when these events are held, I recommend them highly. I have been to several, and none has been close to a disappointment. I look forward to future events, and my thanks go to Ron Melendi for engaging me to cover these dinners. After I leave each, I look forward to the next. This entry was posted in Articles, Cigars, New York and tagged Cigars, De La Concha, Manhattan, New York, Smoking, smoking ban on June 28, 2008 by Tom.